We bring you feature and trend articles that aim to inspire and engage your creative juices including new recipes, application ideas and tricks of the trade. You can also hear from some loyal followers who strive to share their knowledge and advice. 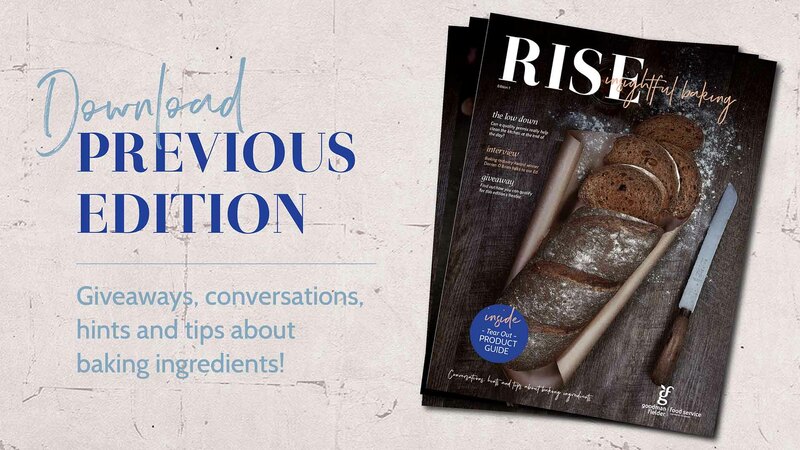 Rise Insightful Baking Magazine with baking at its core, promises to keep you up-to-date and informed on what’s going on in the baking world to make your life in the kitchen easier. Download the previous edition today!